Known in some circles as the Agency, is an American Mage’s Association sponsored by the American government itself. While technically a subsidiary of the better known DARPA (Defense Agency Research Project Association), it is nevertheless a well funded enterprise. 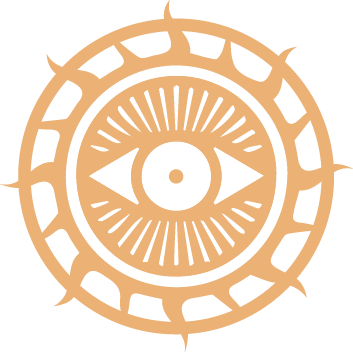 MITHRA stands for “Magical Innovation and Technology Heuristic Research Agency.” The central MITHRA base is located within the subterranean base underneath Area 51, where they encompass one entire floor of the base. They also have bases in other parts of the country, with the second largest being in the Cheyenne mountain complex. MITHRA complexes are typically disguised as high-security DARPA projects. MITHRA’s board of directors is known as the Majestic 12. Each member of the board is also in charge of an entire Program Office that focuses on a specific research subject. The "Heuristics" in the name refers to their tendency to "approximate" solutions to problems long solved in Old World Magecraft by their own means. The most famous of these Heuristic Discoveries would be the American discovery of the Second Magic via the Philadelphia Experiment. Certainly, it had been discovered decades earlier by a certain European magician, but the Americans weren't about to let that stop them. MITHRA was originally founded as the “Circle of the Eye” by Benjamin Franklin after a trip to England introduced him to magecraft through the infamous Hellfire Club. After his death, the Order faced a steady decline into obscurity until it was later revived by President Truman upon the discovery of several magical artifacts on American Soil and the exhumation of an Ultimate One in the southwest. This revived Circle of the Eye was later folded into President Eisenhower’s newly created Advanced Research Project Agency, where it has been ever since. MITHRA could be considered an "open secret." Most people do not know about the Agency proper, but rather have heard about its activities through the ravings of conspiracy theorists and psuedoscientific publications. In fact, most reports of UFO sightings and alien activities are intentionally created by MITHRA in order to create a definitive "idea" of aliens in the minds of the American people. In this way, MITHRA artificially empowers its own magecraft by leeching off the mystery of "life beyond earth." Its Mystic Codes resemble extraterrestrial technology, its agents wear black suits and sunglasses, and its projects bear names like "Operation Nibiru" and "Project Annunaki." The root of this imagery stems from an Ultimate One discovered on American soil. Type Mars, having arrived on Earth 5000 years early like Type Mercury, currently lies dormant deep in the MITHRA Area 51 complex, locked away under the most secure vault American Magecraft can create.